CHARLOTTE, N.C., November 16, 2018 /3BL Media/ -- The Duke Energy Foundation announced it is providing a $160,000 grant to DonorsChoose.org to fund relief projects by public school teachers in 16 counties across North Carolina and South Carolina. "Many of the communities Duke Energy serves are still recovering from the catastrophic damage caused by Hurricane Florence," said Stephen De May, Duke Energy's North Carolina president. "The last thing that teachers and children should have to worry about during this difficult time is whether they have enough school supplies." DonorsChoose.org will allocate $10,000 each to 11 counties in North Carolina and five counties in South Carolina. 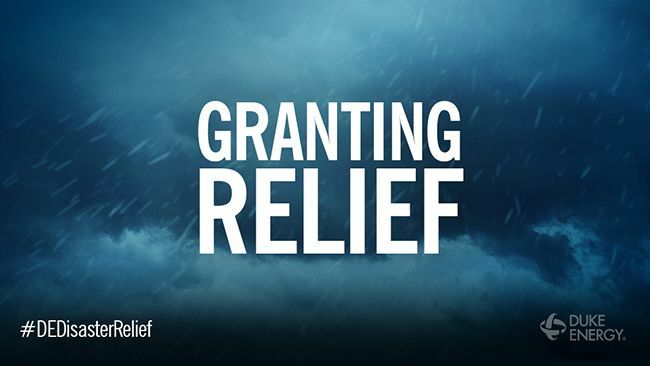 Teachers in these counties are eligible for up to a $500 grant to cover the cost of their relief project, which can include direct relief items for students or classroom supplies. "We have such tremendous respect for the teachers in hard-hit communities whose commitment to their students never wavered," said Kodwo Ghartey-Tagoe, president of Duke Energy in South Carolina. "We appreciate all they are doing to help our communities and students recover and are here to support them." "School can be the one safe haven for students when their communities are recovering from a disaster," said Charles Best, founder of DonorsChoose.org. "We're so grateful to have support from Duke Energy to help teachers and students get back to learning after Hurricane Florence." Hurricane Florence, which hit North Carolina and South Carolina in mid-September, left in its wake catastrophic damage and unleashed almost 10 trillion gallons of water, making it one of the worst flooding events in East coast history. The storm damaged or destroyed many homes, businesses and schools, resulting in hundreds of school days missed across the two states. Duke Energy restored more than 1.8 million power outages that resulted from the storm. The Duke Energy Foundation has contributed $560,500 to disaster relief in the wake of Hurricane Florence, including more than a dozen grants to local relief efforts and a $145,000 grant to American Red Cross. The Foundation annually funds more than $30 million to communities throughout Duke Energy's seven-state service area.